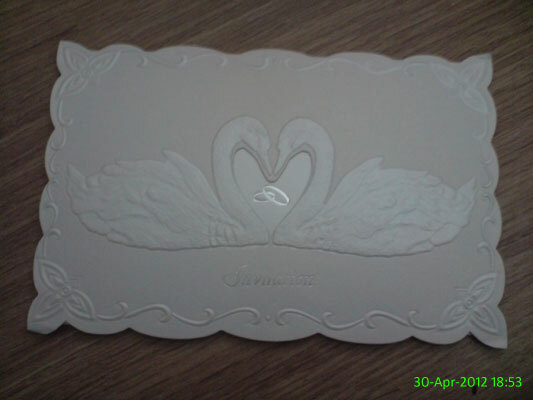 An invitation to Claire and David's wedding reception. 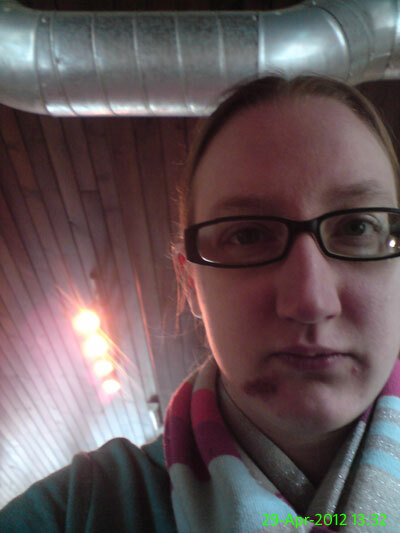 I fell over on the way home last night and scraped my face. I also broke my glasses so although it's not obvious, there isn't a lens over my right eye. 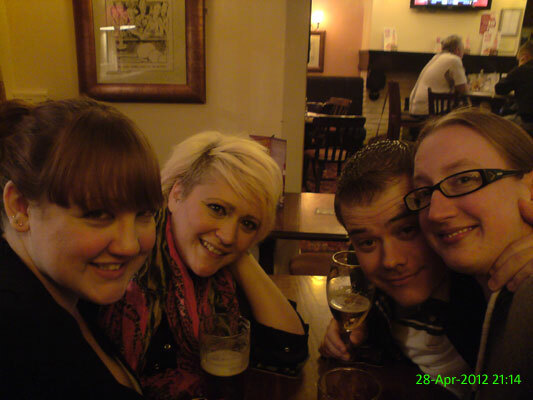 Ali, Carolyn, Michael and me at The Plough. 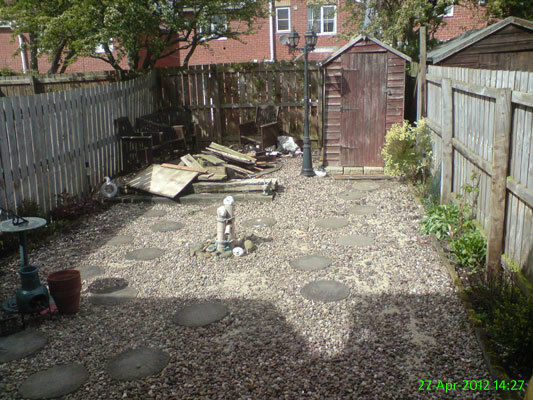 Our new garden, which needs a bit of work. Thankfully it gets lots of sun. A pretty productive day choosing furniture, but my word that place can be stressful. 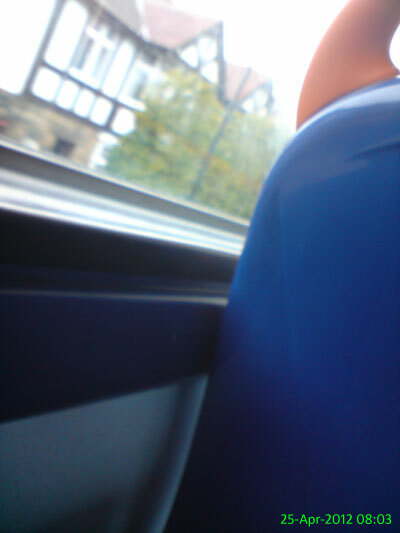 My first bus journey to work in over 3 years went fairly smoothly. I got the X63 and didn't encounter anyone smelly, strange or annoying. 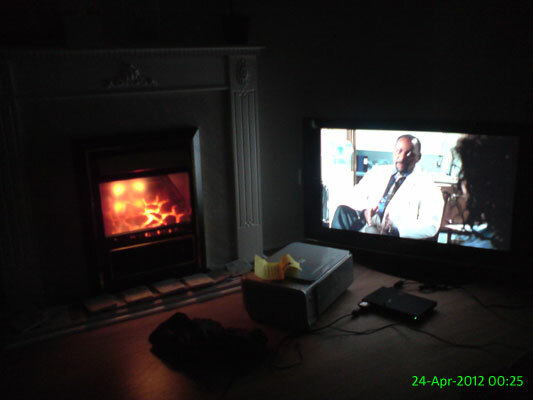 What better way to relax than with a DVD and a warm fire. 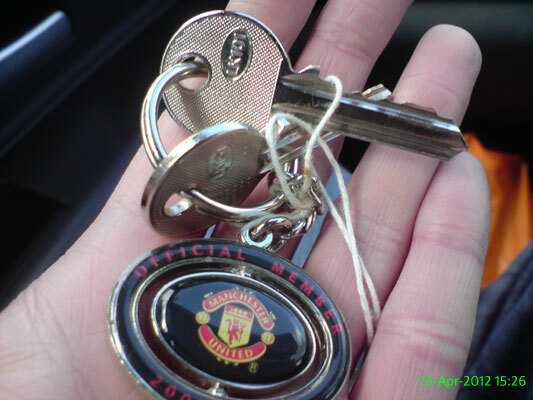 We finally exchange, complete and collect the keys for our new home. 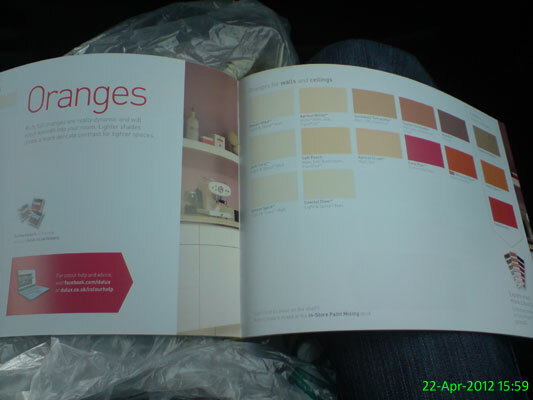 Not sure about that keyring though..
A colour chart from B&Q. 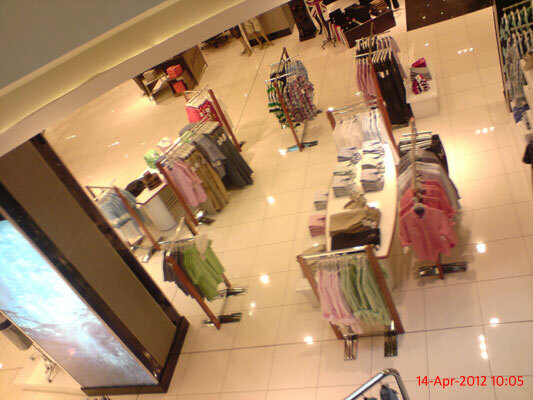 Others joined us, but everyone else had moved on by this point. 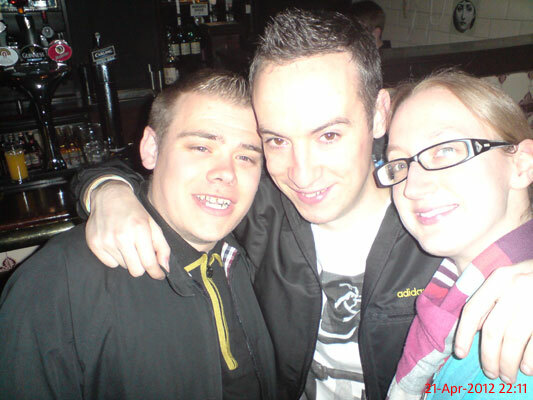 Michael, Matty and myself in Rosie's after beating Stoke 3-0. 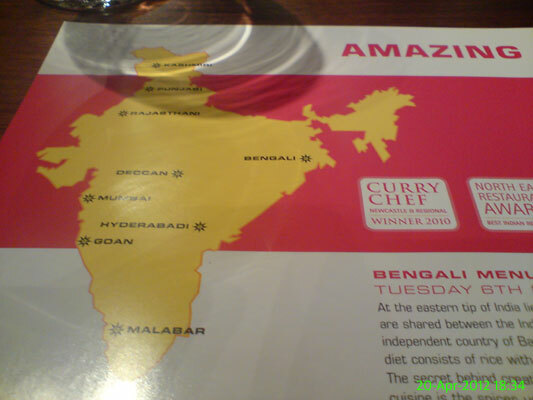 A map of India at Spice Cube in The Gate. 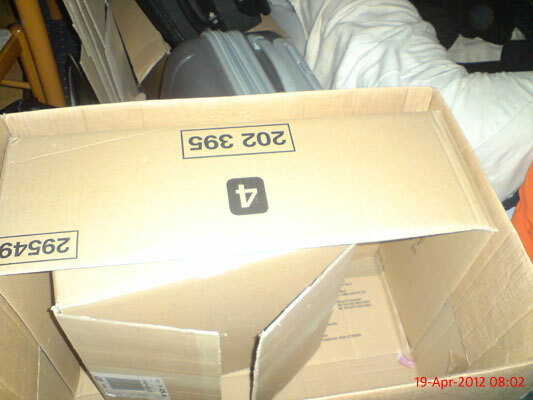 Some boxes for us to pack all of our stuff in ready for the move. 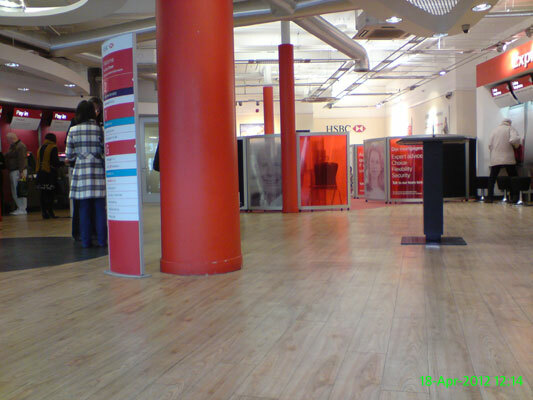 A rare trip to my bank to move some money around. 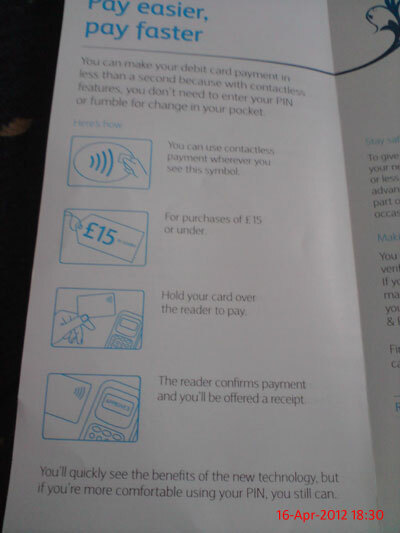 My new Barclays debit card arrives and it has the 'contactless' feature for purchases under £15. 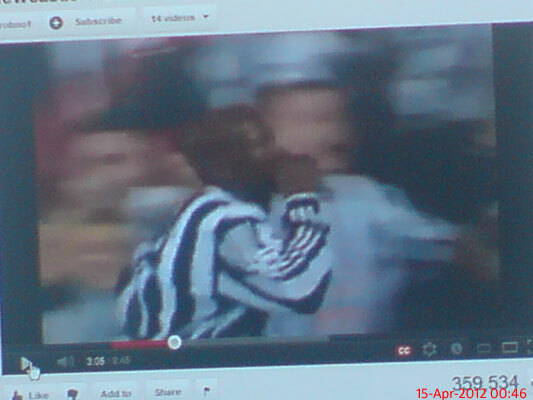 With Newcastle having almost qualified for European football next season, it was time for a trip down memory lane with some Youtube clips of Newcastle 3-2 Barcelona. 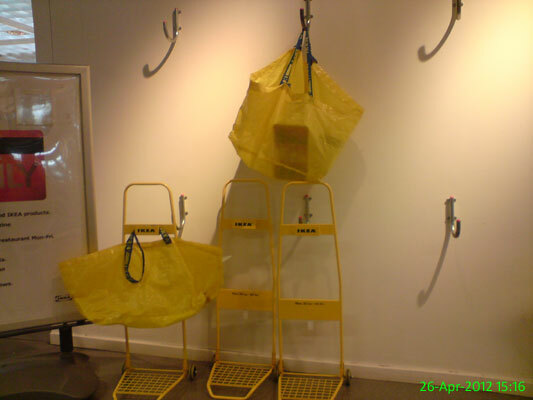 I haven't levitated, I was on the escalator as I cut through into Eldon Square. 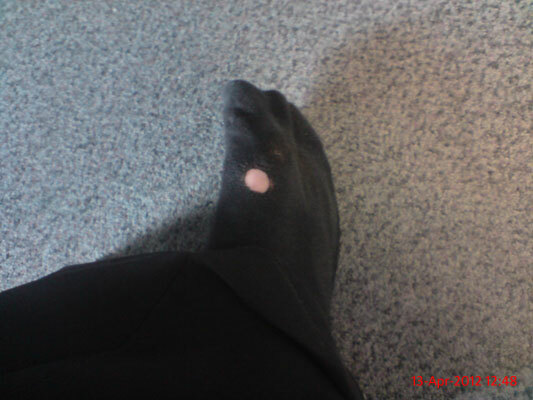 Perhaps it's time to invest in new socks. It's only a few months since the old one closed, but a new (smaller) Co-operative Food has opened in town. 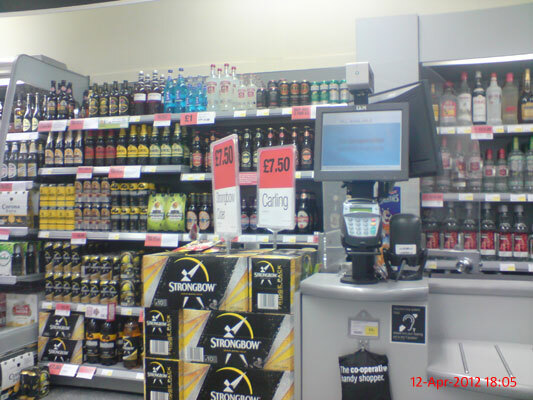 I took this while waiting to pay for some magazines - it wasn't deliberately a photo of alcohol. Honest, guv. 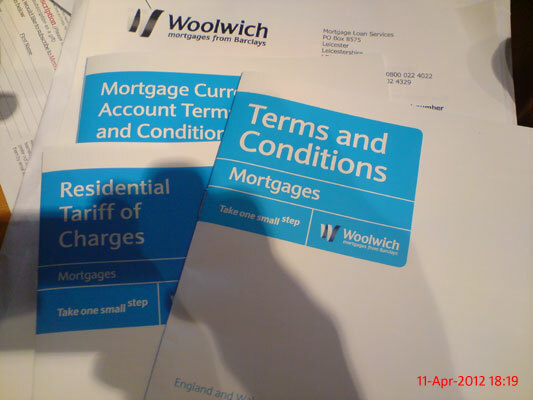 Finally our mortgage offer is received from The Woolwich. 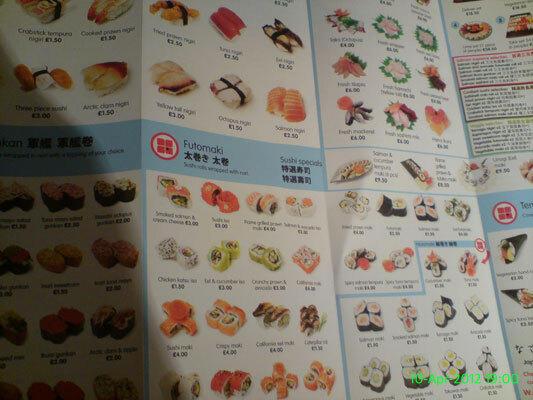 A menu came through the door for a Japanese restaurant nearby. I've never fancied trying sushi but the pictures do look quite cute. 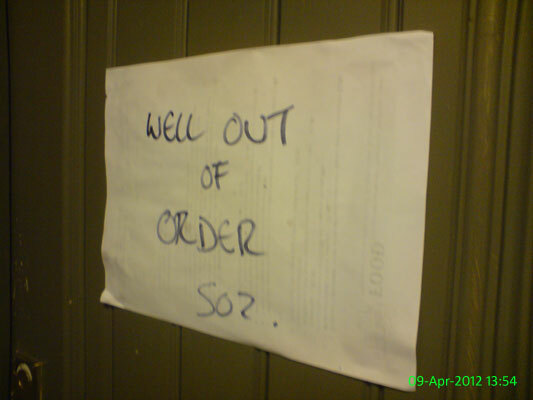 A very honest sign on the toilet door in Tilleys. 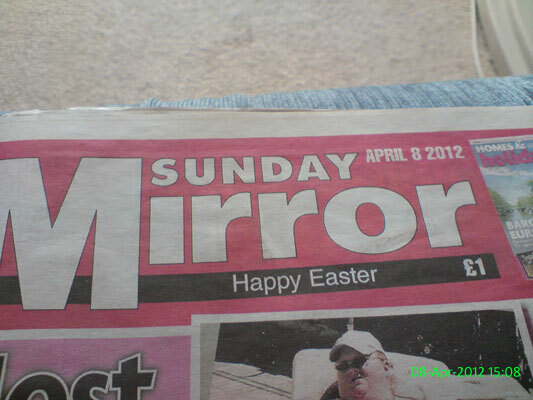 I never buy Sunday papers so only tend to read them when I visit my mam. This time I got a lovely Easter dinner out of it as well! 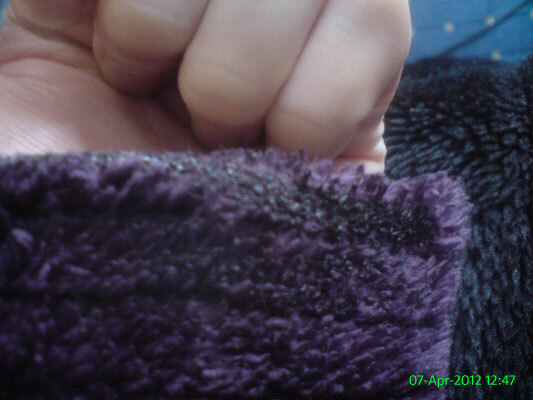 In an alarming moment of stupidity I forgot an electric hob would still be hot when it had just been used, and singed my dressing gown sleeve. 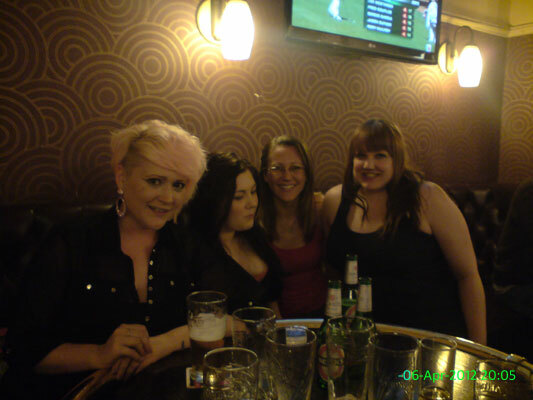 Carolyn, Claire, Yvette and Ali in the Three Bulls on Good Friday. 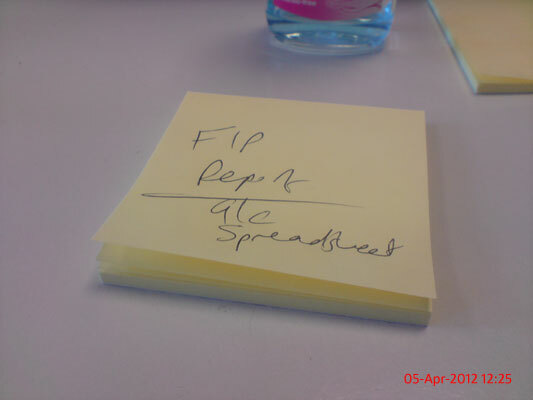 Some scribbles to remind myself about reports I need to send since this working week is ending on a Thursday and not a Friday, which is when all my reminders pop up. 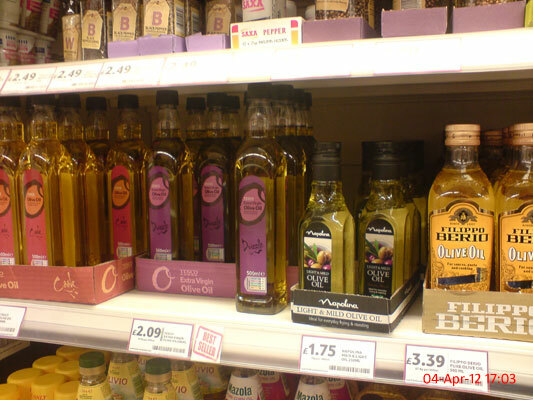 A variety of cooking oils available in Tesco. 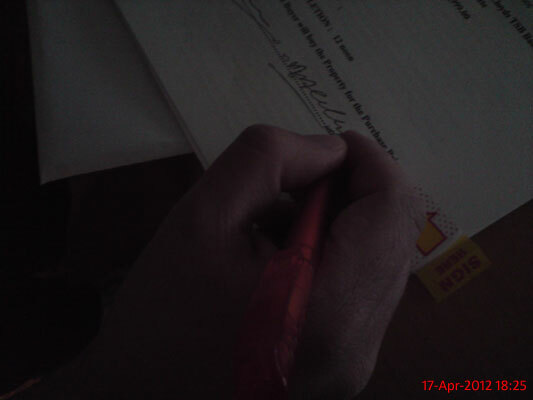 My trusty Sony Ericsson K800i has finally given in. 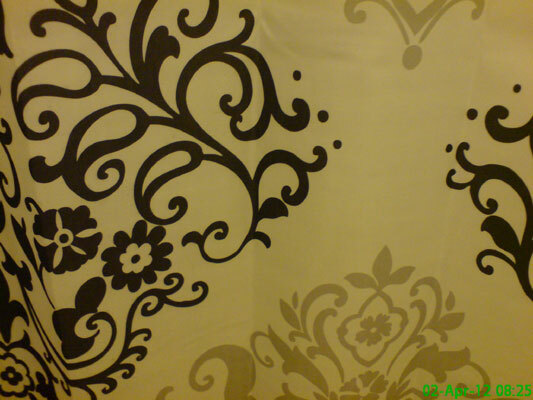 I've used it to take every photo since I started this project so you can imagine how sad I am that it's finally on the other side of the shot. 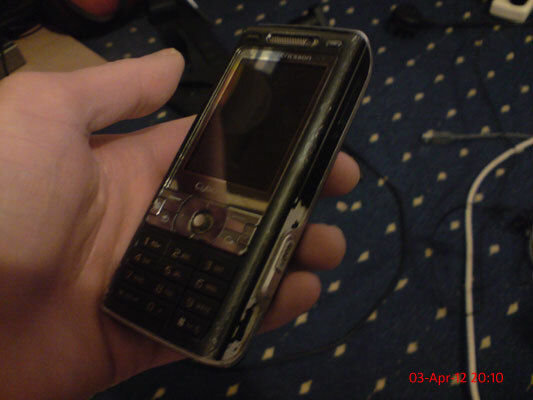 Don't worry though, I haven't upgraded - in fact I've borrowed the next phone up from this one, the K850i. Unfortunately it doesn't have a timestamp feature so that will have to be added in manually, but I hope you'll trust me to type in the correct information. Former Newcastle player Jose Enrique ends up in goal after Reina is sent off. On 25 July 2011 he said "This club will never again fight to be among the top 6 again with this policy". 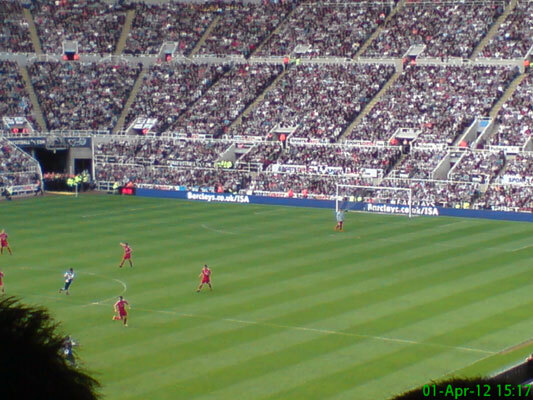 League positions after the match? Newcastle - 6th, Liverpool - 8th. Oh dear.